Merrill's Roxy Cinema, Burlington, Friday, August 22, 8:45 P.M. I don't like wine. So, when I walked into the Roxy last Friday, I braced myself for an event unlike anything I'd ever been privy to - a wine-tasting movie preview. Huh? To celebrate the Vermont opening of Bottle Shock, a film about the famous 1976 showdown between the French and American vino scenes, a crowd of wine connoisseurs, enthusiasts and others gathered to watch, discuss and sample fine wine. Present was one of the film's producers, J. Todd Harris, who talked about Bottle Shock's roots (it was conceived by the son of "Gilligan's Island" executive producer Sherwood Schwartz) and its tiny indie distribution, but not so much about the film's message. Unfortunately, Harris didn't stay for a Q&A session, as he had for an earlier showing, but his disappearance was balanced out by the copious amount of wine the half-capacity crowd had already spoken for. The tasting - put together by the Roxy and Burlington's Dedalus Wine Shop - was a fancy affair, to say the least. 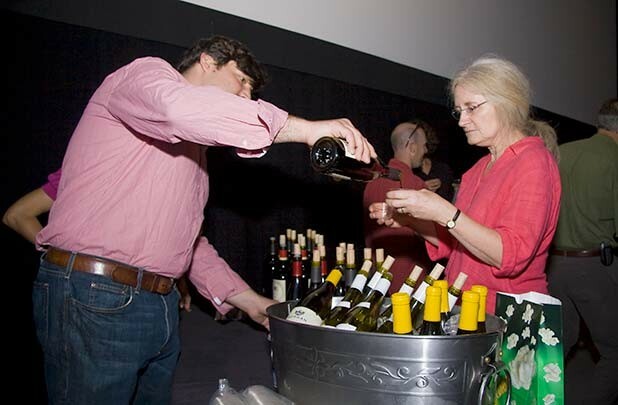 Before the film, strictly 21-plus attendees were invited up near the screen to sample six wines - three from France and three from California - in order to choose which ones most pleased their particular palates. Surprisingly, before we sipped, the wines were identified, breaking with the blind-judging tradition depicted in the film. This was a bit of a letdown, particularly for people who were curious to discover where their true tastes lie. Nonetheless, the event was a success, if only in bringing a sense of class to an otherwise plebian movie screening. My date off-handedly commented that she "felt like a snob . . . and liked it." Honestly, I felt the same way, especially after drinking more wine than I've ever consumed in my entire life. For my part - unlike the judges in the film - I found the French wine to be quite superior to Napa Valley's offerings. In particular, I recommend Chateau Gravat, a French table wine with plenty of sharp tones and flavors to spare. But what do I know? I don't even like wine . . . usually.